It is made out of 0.925 Sterling Silver and hangs on a Sterling Silver Rollo Chain. This necklace is also available in 18k Gold Plating. Check out our original double heart necklace design. 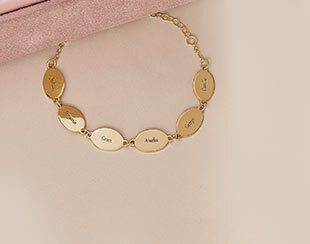 This necklace is also available in 18k Gold Plated , 18k Rose Gold Plating and 10K Solid Gold.